Factory Tire & Rubber Inc., a family owned and operated retailer, has been selling quality tires and rims wholesale and to the public for over 50 years. Using the existing logo and colours, we created a WordPress based site that allows easy content creation and updating. Having the client update and maintain the site allows us to focus on creating new demand, bringing in fresh traffic and new customers to their locations. 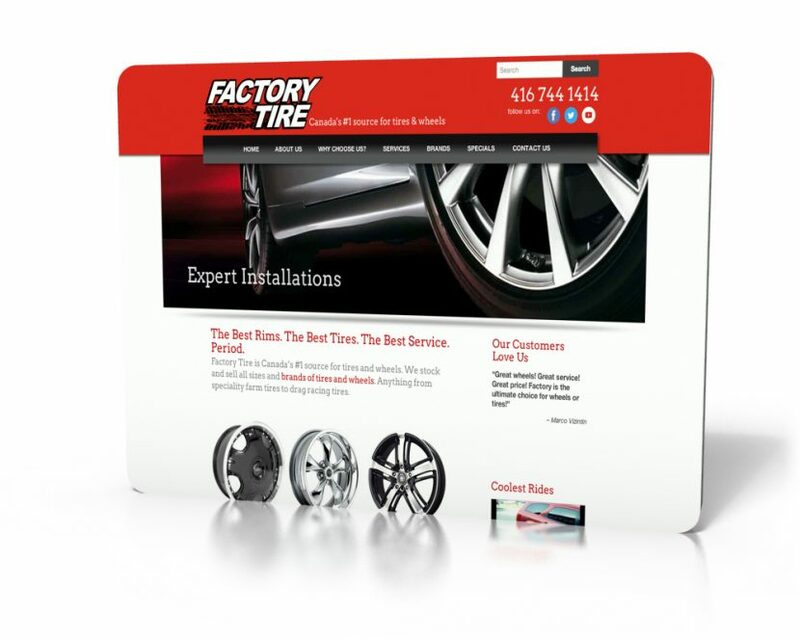 We continuously create custom content and articles to bring in new prospects by answering the many questions and issues surrounding tire purchases. We also set up social media outreach programs using Facebook, Twitter and online contests and promotions.